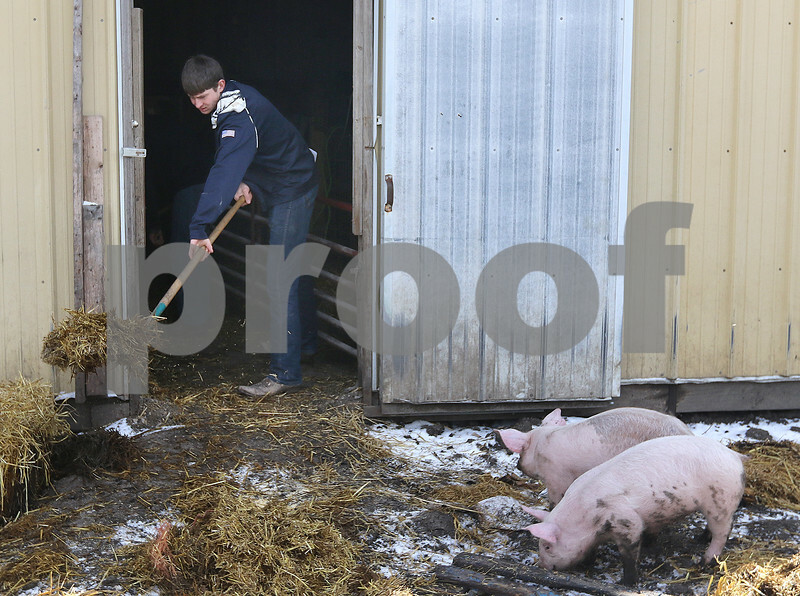 Sycamore High School sophomore Hunter Ratliff shovels hay out of a building Wednesday after a fire was extinguished inside by Sycamore firefighters. The building behind the school houses animals used by students in the Future Farmers of America program. The pigs were uninjured in the blaze, along with other animals and humans.